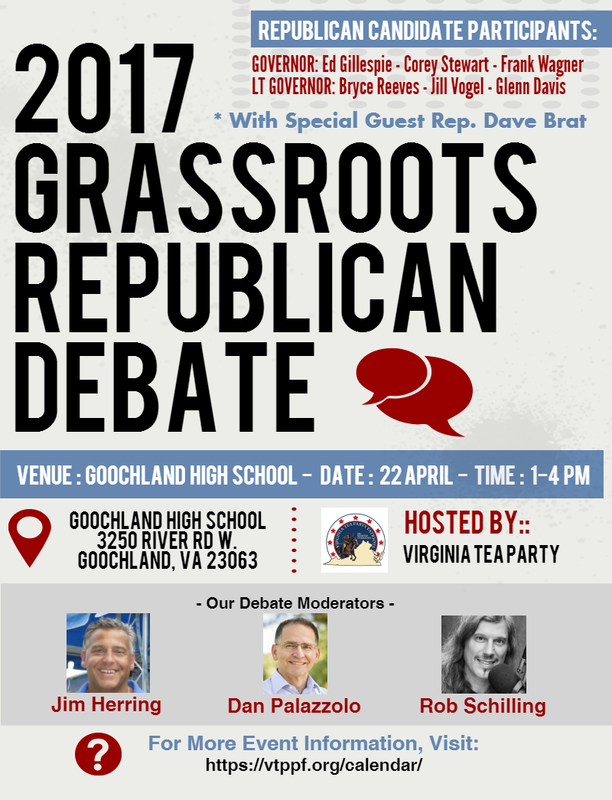 Virginia Tea Party Patriots Federation is sponsoring a debate for the 2017 Republican candidates for Governor & Lieutenant Governor on one day in one location! 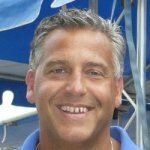 This is your opportunity to see ALL the Republican candidates for each office, on stage together responding to the questions of citizens just like you from across the Commonwealth. 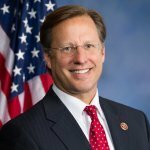 UPDATE: Now with special guest Congressman Dave Brat (VA-7)! IMPORTANT NOTE: While all members of the public are encouraged to attend the forum, no questions from attendees will be taken during the forum session. Our debate moderators will select the questions and manage the debate format and cadence. 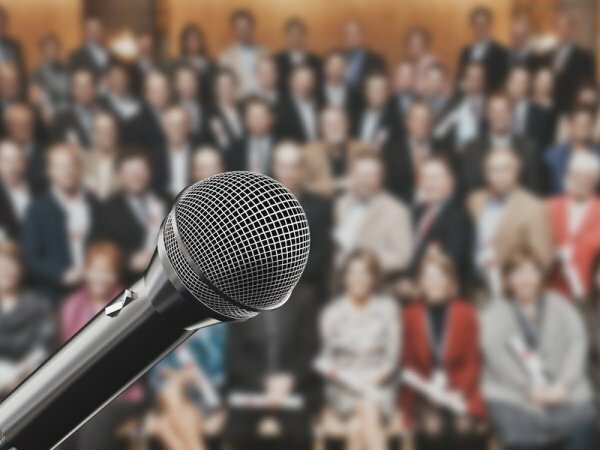 This is not a public town hall meeting, and anyone disrupting the forum will be promptly removed from the venue.